I recently completed another batch of SRO oil, or salt refined organic linseed oil, for painting. It's such an interesting process and the results are truly worth the effort. I like to make my own linseed oil because I am interested in the materials of the past, used by the old masters before modern oil painting materials were available. The image above shows the first stage of cleansing the organic flax oil to remove impurities. 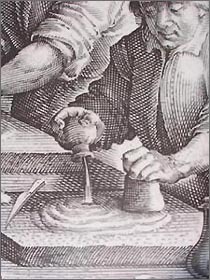 The flax oil is mixed with water, sand and salt, and given a good shake. The cleansed oil rises to the top and is siphoned off and the entire process is repeated again. Here is the cloudy oil after the first cleansing. I discard the dirty water, clean the jar, add fresh water, clean sand and salt. I add the oil back in and shake, shake, shake. 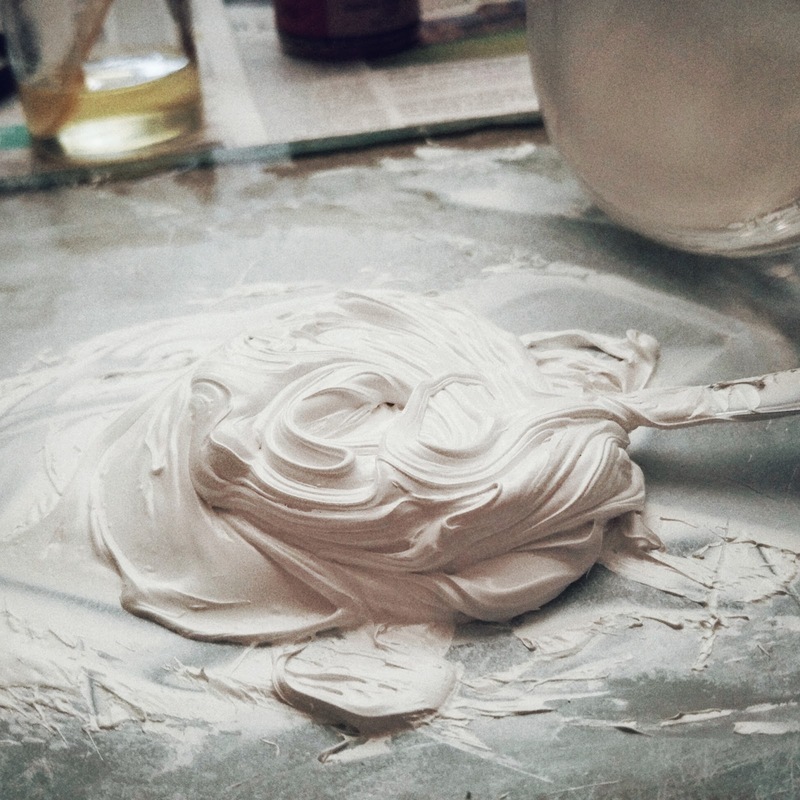 The impurities and mucilage (stuff you don't want in your paintings!) have a molecular attraction to the other ingredients and separate from the oil, sinking to the bottom of the jar. This oil is fully cleansed and will clear as it sits in a sunny window in the light. I currently depend on my SRO oil for making oil paint. I use half of the raw SRO oil for mulling pigments. I tube the hand made paint in 50 ml tubes that last a long time. I take the other half of SRO oil and pour it in a shallow glass dish and place it in the sun to thicken. After a month I have a beautiful, clear and thick oil that is perfect for mediums. The completed jar of raw oil, ready to make paint! 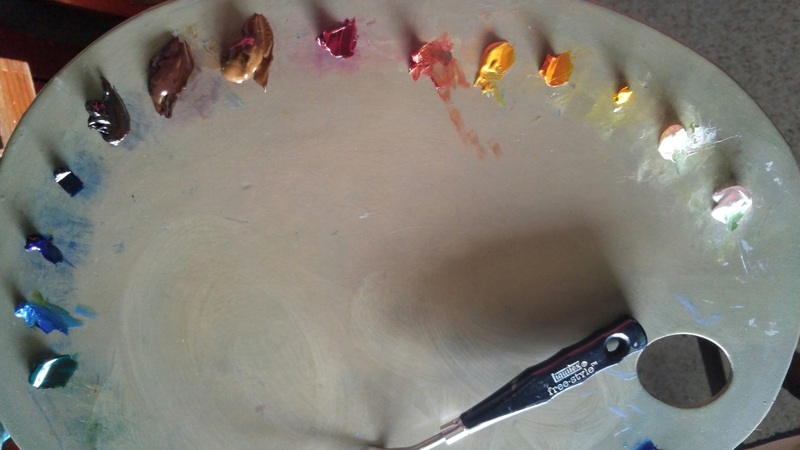 At the moment I make about half of the colors on my palette from my own oil and pigment. I have adjusted the ingredients for each pigment to suit my particular needs. I am slowly making my way through each color and experimenting with the pigments to find the best balance of oils, pigment and fillers like calcite or fumed silica, to create a beautiful tube of oil paint perfectly suited for my indirect layering process. It will take a long time to get through all my colors to have a full palette of handmade oil paint, but in the meantime I'm really enjoying the process!